Sponsors & Support: I am currently looking for more sponsorship for the 2016 season, so if you would like to have your company logo on my car, feel free to email me. My current sponsors include Zeitner & Sons and Contractors Electrical. Also special thanks to Grandpa & Grandma Zeitner, Dad, and everyone down at the Zeitner & Sons shop for all your continued help and support! My rookie year in the Hobby Stock division was hindered by multiple mechanical issues. I did however manage to pick up a heat race win, and get Top 10 finishes. My sophomore year in the Hobby division showed more promise, but brought more bad luck with it, although some Top 5 finishes helped. After five eventful years in IMCA Sport Compacts at many tracks around the area I made the move to Hobby Stocks. 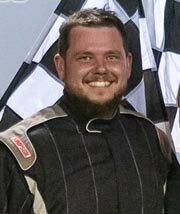 I've got three years of Hobby Stock racing under my belt and looking forward to 2016! Things are looking positive. We have put in a ton of work and made lots of improvements to the car all winter long including making the switch to the crate motor package. My goals in racing I would have to say are contributing to the sport to keep it going and growing and making it better. Also win some races and maybe some Championships along the way. I chose the number 60 because that's the number my dad raced with most of his racing career. He chose it since he was born in '60. As far as any rituals I do, every time before I drive onto the track, I say a prayer, check the window net and yank the steering wheel to make sure it's on good. 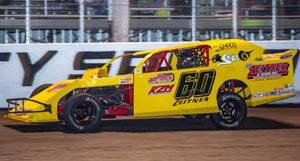 For more team info and stats find us on Facebook and like our page, KZM (Kevin Zeitner Motorsports).